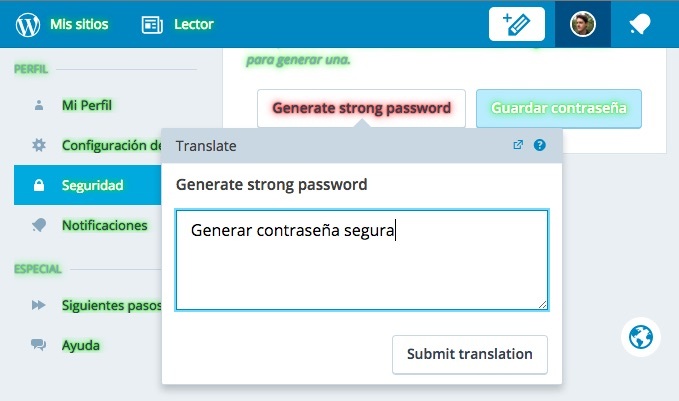 You can help translate WordPress.com into your native language without leaving the page! A red highlight means that a string does not have a translation in the current language. A yellow highlight indicates a new translation is awaiting validation. A green highlight indicates that a translation has been validated and is current, but you can still submit a new improved translation for that string. 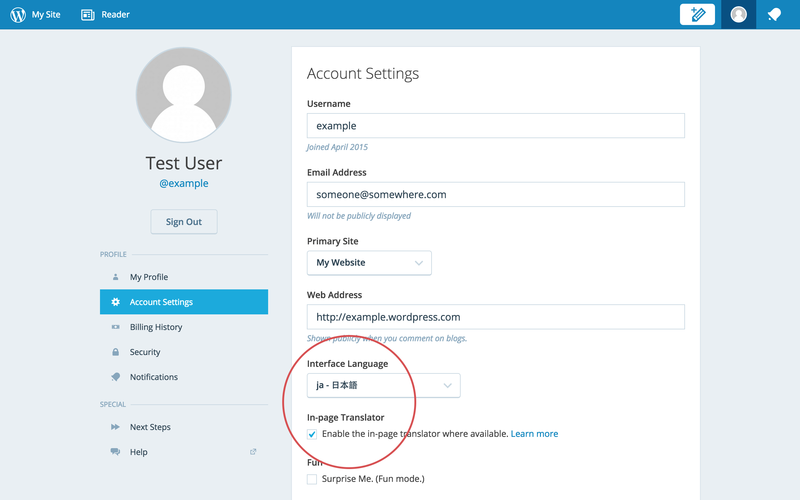 To turn on the translator tool, go to the My Account page in your dashboard, select a non-English interface language and check the “Community Translator” option. When you go to any translatable page, you will see a globe icon on the bottom right. Click on it to enable the translator. Happy translating! Thank you so much for your help!